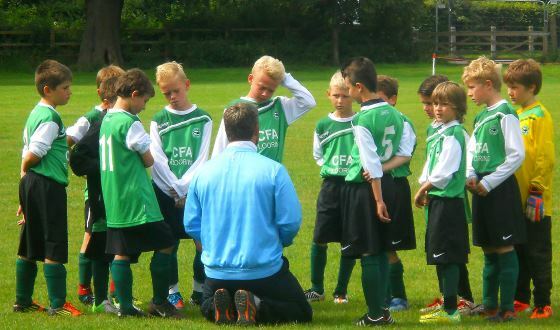 The Football Association has announced changes to the two most popular coaching qualifications in grassroots football. The new FA Level One and Level Two in Coaching Football courses, which will be available to anyone aged 16 or over from 1 August 2016, are designed to modernise the first steps of the FA’s coaching pathway. According to the FA, both courses have been restructured to provide coaches with a more flexible and personal learning experience, whilst offering a clear introduction to the coaching pathway for anyone who wants to coach, whether for their local team or aspiring to make coaching a career. Taken over eight half day modules or four full days, the Level One course will be spent mostly developing the required coaching skills on the field, with supportive tasks now available digitally. Significantly, coaches from Level One upwards will now also be able to enjoy structured one-to-one guidance. The new Level Two course lasts 10 days over three different blocks of learning (see diagram below) and has been re-shaped to better reflect what’s required to coach specifically within youth football. The course combines content from the existing Level Two course with elements of the FA Youth Award modules one and two, along with content from the FA’s coach competency model. Both qualifications have been modernised to help ensure consistency in how coaching courses will be delivered from grassroots level to the elite end of the game, linking coaching modules from Level One to Pro Licence with the FA’s England DNA philosophy. The cost of courses will remain at current levels. Prices will vary, but work out around £5 per hour of study - e.g. approx. £150 for Level One and £350 for Level Two - whilst some discounts or bursaries may be available for Charter Standard clubs or coaches from under-represented groups. Les Howie, the FA's Head of Grassroots Delivery said: "The modern day coach is ever-evolving and these changes represent a significant shift in helping us be able to develop the quality of our grassroots coaching. “The new Level One course provides more individual guided support throughout, and will help the coaches develop an understanding of their own ability. "Many coaches have a real enthusiasm and aspiration to work in the game and continue their way through the coaching pathway, which is fantastic. By taking the key elements of the previous Level Two and Youth Award courses, we are enabling them to do that. To find out more about FA courses in your area and whether you are eligible for a discount or bursary, contact your local County FA. To find an FA course near you visit learning.thefa.com. Further information on both Level One and Level Two courses is available on the FA website.